The Northern Territory is a vast desert landscape in Central Australia that offers a huge range of activities, natural attractions and tours. From the Top End to the Red Centre, you can experience the Australian outback via luxury coach, 4WD, train, boat, scenic flight or hot air balloon. Compare Northern Territory tours for an almost endless array of ways to explore Alice Springs, Arnhem Land, Ayers Rock, Darwin, Kakadu, Katherine Gorge and Litchfield. Explore Alice Springs with a 4WD day tour, luxury coach, scenic flight or accommodated or camping tour and discover iconic attractions such as Ayers Rock (Uluru), The Olgas (Kata Tjuta), Kings Canyon, Finke National Park, Owen Springs Cattle Station, West MacDonnell Ranges, Ormiston Gorge, Simpsons Gap and much more. Discover the rich culture of Arnhem Land with 4Wd adventures, scenic flights, river cruises, day tours and accommodated tours visiting natural attractions such as Nourlangie Rock, Injalak Hill, Minkinj Valley, Jim Jim Falls, Twin Falls and the Kakadu National Park as well as Aboriginal rock art, bush tucker and more. Visit the Northern Territory's most iconic attraction on a day tour, accommodated tour, camping adventure, 4WD, coach or even camel ride and experience the unforgettable opportunity to see The Olgas (Kata Tjuta), Kings Canyon, Walpa Gorge, Watarrka National Park, Valley of the Winds, Mutitjulu Waterhole and more. The capital of the Northern Territory, Darwin offers plenty to explore including Bathurst Island, the unique Jumping Crocodile Cruise on the Adelaide River, the Wetlands Visitor Centre, Ghan Railway or Fogg Dam Nature Reserve. 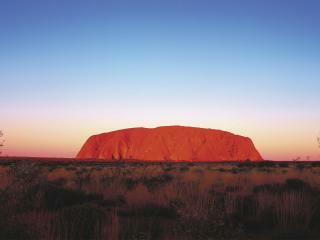 Choose from 4Wd, luxury coach, rail, day tours or camping and accommodated tours. 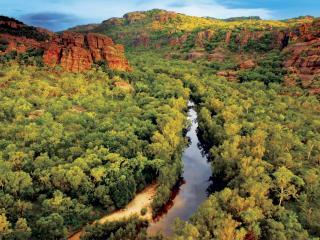 A unique natural environment, Kakadu can be explored on foot, by coach, 4WD, camping, day tours or accommodated tours which traverse the Marrakia Plains, World Heritage listed Ubirr Rock, Yellow Water Billabong, Katherine Gorge, Buley Rockhole, Springvale Homestead, Jim Jim and Twin Falls and more. Another of the Territory's most popular attractions, the Katherine Gorge (Nitmiluk) is a favourite among tourists and the great range of day tours on offer also visit the Nitmiluk National Park, the Kakadu National Park, Katherine River cutting and Edith Falls as well as a number of waterholes ideal for swimming. The spectacular Litchfield National Park is a must see on any holiday to the Northern Territory and offers a great range of guided tours, 4WD or luxury coach adventures, day tours and accommodated and camping tours which visit the amazing rock formations and spring fed waterfalls including Wangi, Florence and Tolmer Falls as well as the Tabletop Range.